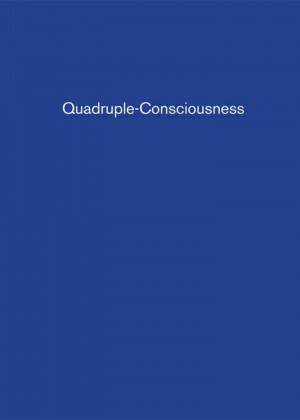 Quadruple-Consciousness is a catalog from the exhibition of the same name, curated by Malik Gaines and presented at Vox Populi. 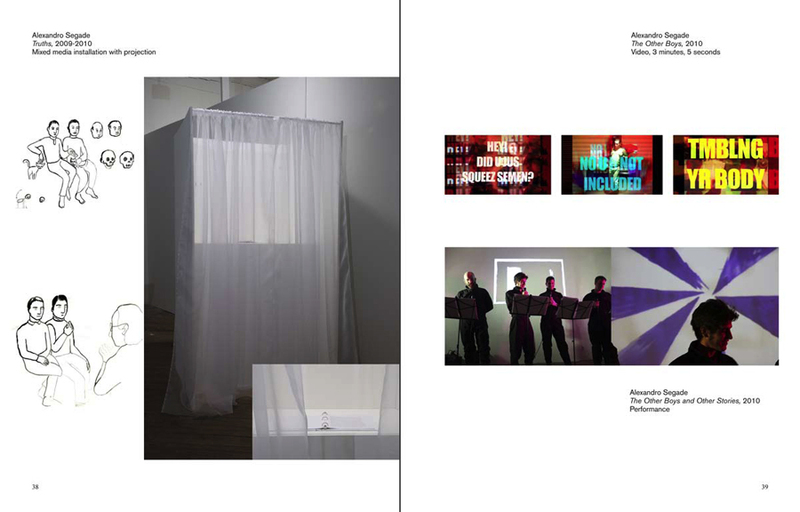 Bringing together the works of 19 diverse artists, Quadruple-Consciousness explored various tactics for representing the complex, contradictory legacies of cultural difference we bring to this contemporary moment. 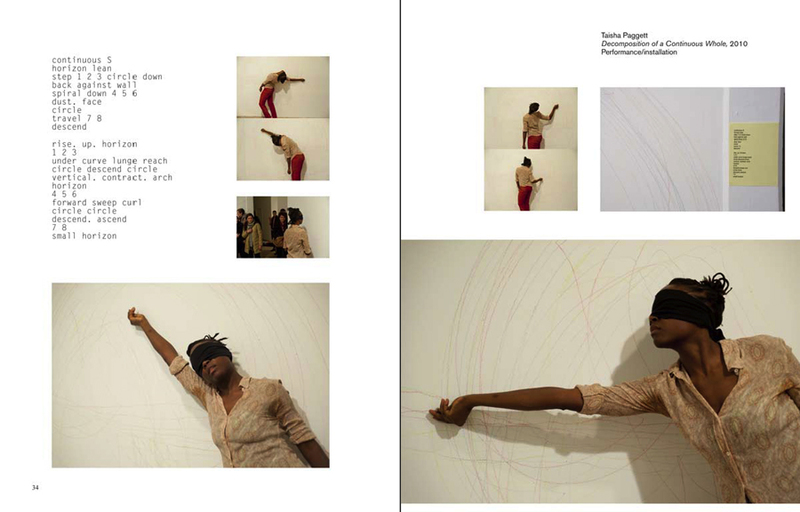 The title itself, a hyperbolic multiplication of W.E.B. Du Bois’ idea of Double-Consciousness, plays within the fractures of post-modern experience, transforming its alienated gaps into locations for possible expression. 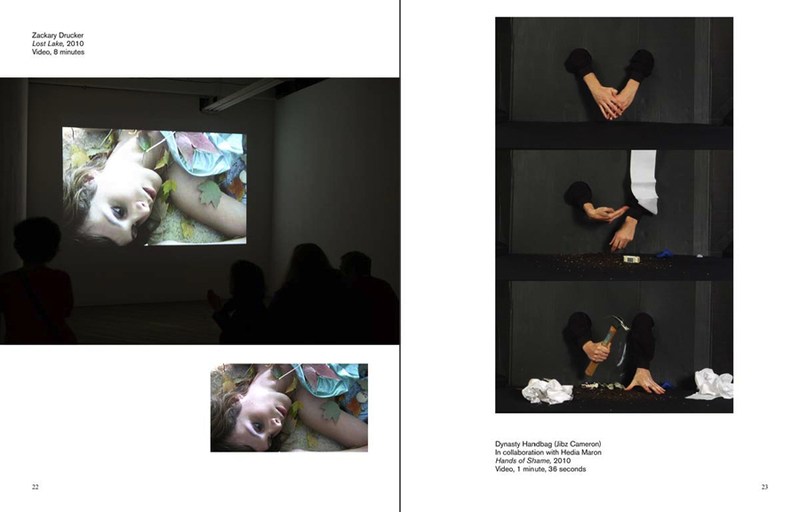 Through fictitious portraits, play acting, historiographic collages and alternate histories, these artists seek potential liberties within the uncertainty of irreconcilable identities. 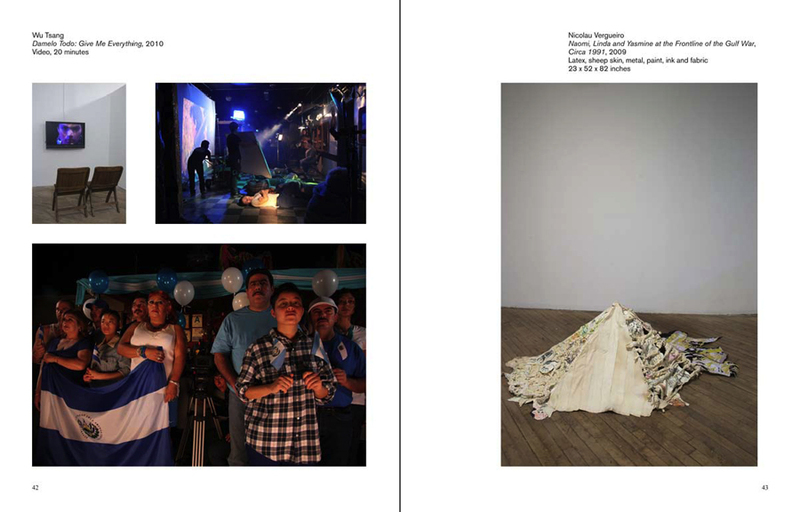 Performance, video, installation, painting, drawing, and sculpture all contributed to this mix of ideas and images and are documented in the catalog. 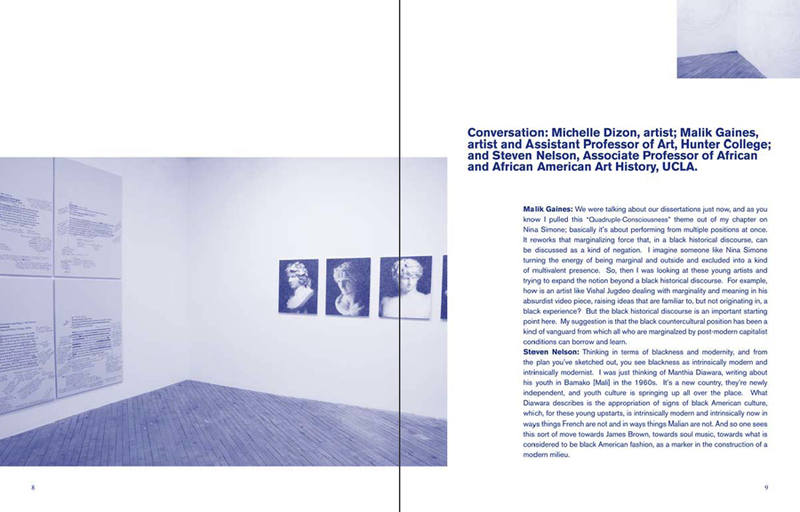 Also included are a conversation between Malik Gaines and Ei Arakawa, a conversation between Gaines and Adam Pendleton, and a roundtable with Gaines, Michelle Dizon, and Steven Nelson.